Cosmic Buildtech is one of the fastest growing Real Estate property development and construction companies active in their area of operation. They have ventured into areas and absolutely revamped into fantastic communities due to their vast portfolio and experience in constructing magnificent buildings. The secret this Real Estate company attributes to its success is the constant presence of its vision for the future to completely change the landscape of the country and be able to grab an overwhelming majority of customer satisfaction and loyalty. With such high standards and large scale dreams, it’s no wonder that this driven company Cosmic Buildtech, has achieved as much as it has. 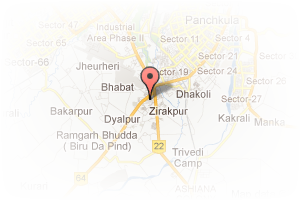 Address: SCO-35,Royal Estate, Zirakpur, Zirakpur, Zirakpur, Chandigarh, India. 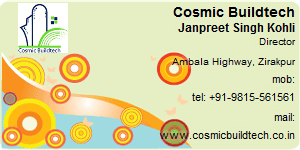 This Broker Profile page for "Cosmic Buildtech" has been created by PropertyWala.com. "Cosmic Buildtech" is not endorsed by or affiliated with PropertyWala.com. For questions regarding Broker Profiles on PropertyWala.com please contact us.